2018 is now here! To stay competitive in your marketplace, you may need to up your game this year. Our newsletter this month focuses on the top trends we see emerging for ecommerce businesses for 2018. You can start preparing now with these tips to increase sales and improve customer retention. Thanks to the e-commerce explosion, online retailers are looking to fulfillment warehouse solutions to meet the demand. And it doesn't appear that sales will be plateauing anytime soon: 2017 holiday e-commerce spending in the U.S. was projected to have surpassed the $1 billion level. Now is the time to plan your e-commerce strategy for 2018, with the lessons of the 2017 holiday season fresh in your mind. 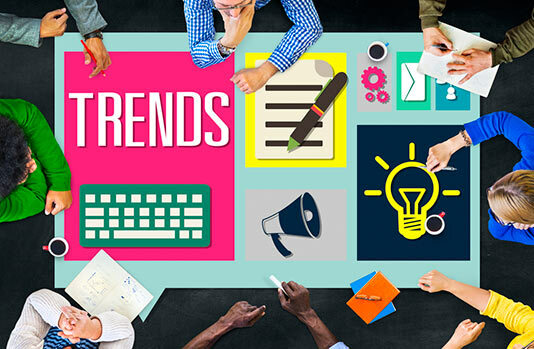 Here are the major e-commerce trends predicted by experts to shape the industry well into the New Year. When it comes to social media and other digital methods of driving revenue, email continues to reign supreme. Forward-thinking companies such as Rebel are taking it a step further with interactive email platforms that allow customers to make secure purchases without leaving their inbox. In the embryonic stage of e-commerce, companies tended to view it as a separate entity. Now that e-commerce has become more deeply integrated, it's important to make sure all departments are aligned in the goal to provide a complete and authentic customer experience. It costs more to gain a new customer than it does to keep an existing one, and that applies to e-commerce as well. E-commerce advertising costs will continue to increase in 2018, making it more important than ever that companies find ways to engage customers beyond the point of sale. Digital technology is a great equalizer, so you need to go that extra step to set yourself above the competition. Personalizing your brand takes the customer experience beyond the cold anonymity of most online transactions. The Disney Company is the gold standard when it comes to personalized brands. The first e-commerce teams required a specific but narrow range of skills. As e-commerce expands to affect all departments, teams are looking for a more diverse and well-rounded representation of skills. Siri might have started out as an engaging novelty, but so many people are adapting its use that experts predict 50 percent of online searches will be via voice by 2020. E-commerce companies need to stay on pace with this trend to remain current. E-commerce doesn't mean the end of the "shopping" experience. Surveys show that consumers research online purchases even more than they do in-store purchases. Online content should be geared toward positioning a company as a trusted and reliable source of information. Is your e-commerce business outgrowing your facilities? Medallion Fulfillment & Logistics offers a first-class fulfillment warehouse service that's comprehensive yet versatile enough to scale to any size. Contact us today and take the first step toward solving your fulfillment warehouse needs for 2018.